Kevin and I love movies. We snuggle up on the couch together and settle in for a movie marathon any chance we get. With the movie, come snacks. So, a couple of months ago, Kevin and I settled down to watch Pain & Gain (we didn’t end up liking it) and decided we wanted potato chips. But the baked kind. You know, less oil, less salt. We slid our jackets on, went to the store, but there were no baked chips in sight. After a bit of isle scurrying, we found Harvest Snaps. Actually, I should say that I found them because one look at the bag, Kevin would run in the opposite direction. He doesn’t like peas…. or lentils. I flipped the package over and was surprised by the label. Granted, they aren’t the cleanest snack. The corn oil didn’t excite me, and we rock the grain-free lifestyle like there’s no tomorrow. But I was curious. 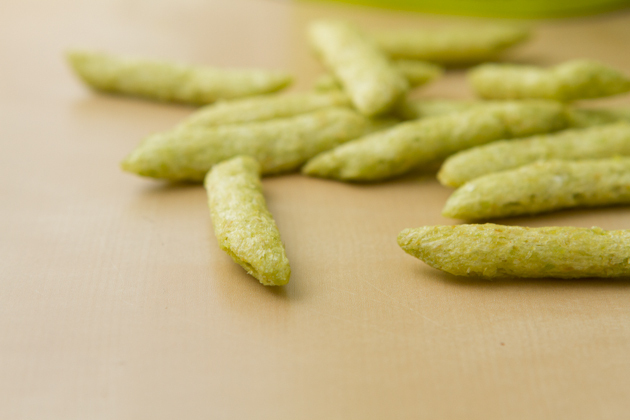 After all, it’s a snack… made of peas. We bought 1 bag of Lightly Salted Snapea Crisps. I managed to keep the front of the package hidden from Kevin so he wouldn’t see what it was made of and when we got home, I transferred them to a bowl. 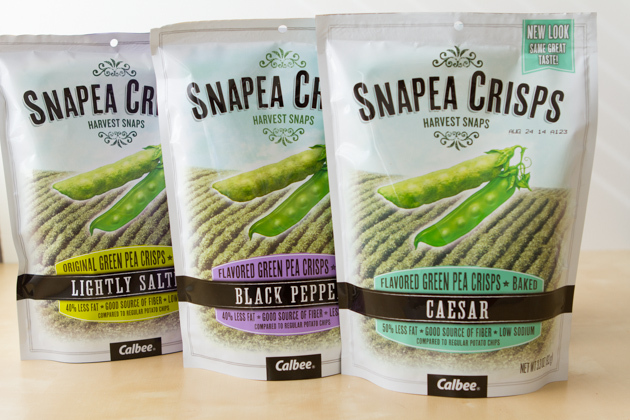 Have to say that with a snack made from 70% pea, I was surprised at how good they were. As was Kevin. Didn’t bat an eye. 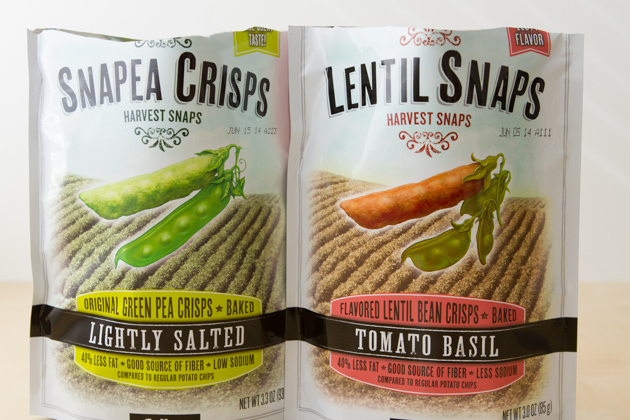 Next flavor we tried was the Tomato Basil Lentil Snaps. 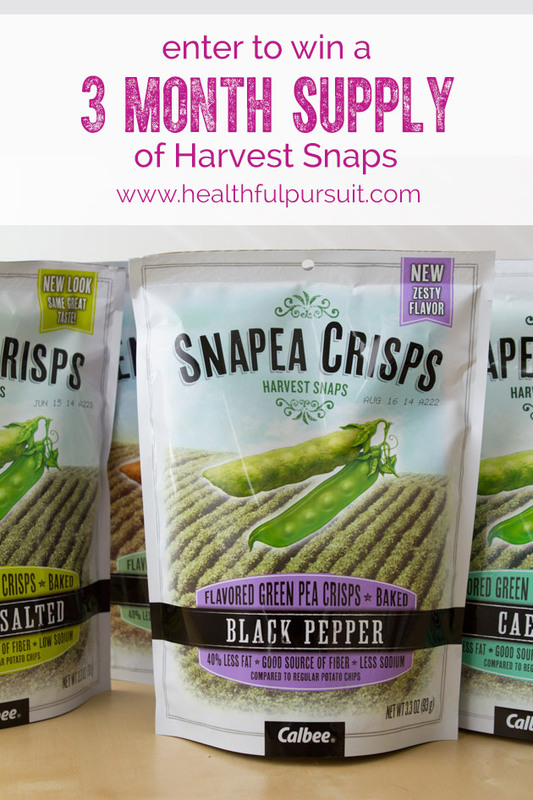 They were good, but I liked the Lightly Salted Snapea Crisps because of the simple ingredients list (plus, they can be found at Costco). 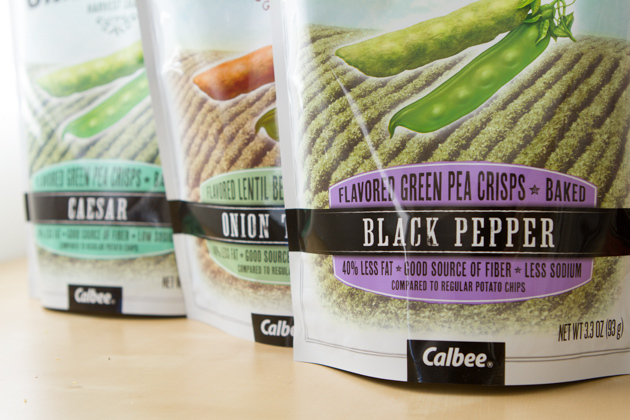 3 of their 6 flavors are dairy-free: Lightly Salted, Tomato Basil & Black Pepper. Overall, if you’re looking for a super clean snack choice, this is not it. 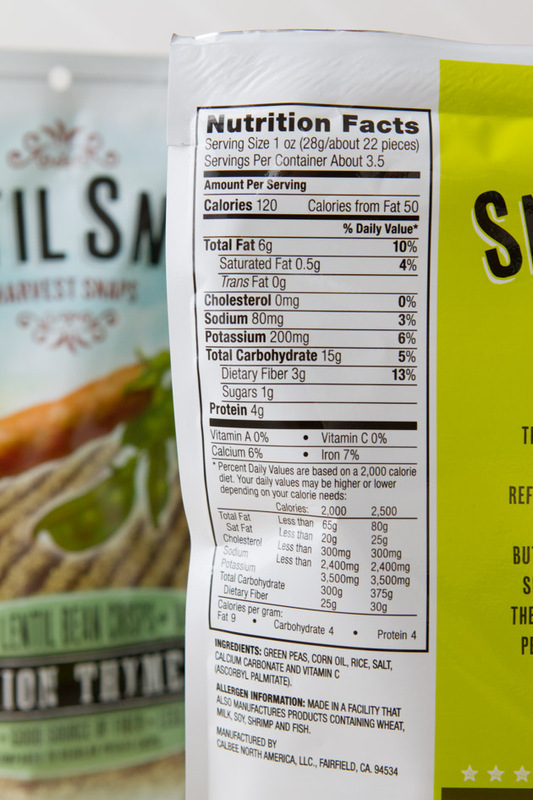 If you’re open to indulging a little bit but want to keep out of the grease, incorporate some plant-based protein and stay naturally gluten-free, Snapea it up! If you give them a try, too, I’d love to hear what you think. 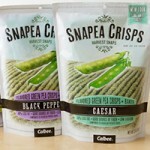 You can find Snapea Crisps & Lentil Crisps here. This post was sponsored by Calbee. All opinions expressed herein are those of Healthful Pursuit Inc. and are not indicative of the positions or opinions of Calbee. Thank you for supporting the brands that I choose to feature here. Load Up On Fiber with this Low-carb, Keto Flaxseed Focaccia Recipe – No Gluten, Dairy, Grains, Flours. Just Flax!